PHOTO 101 Day 16: GLASS – A FOLLOW UP IMAGE. 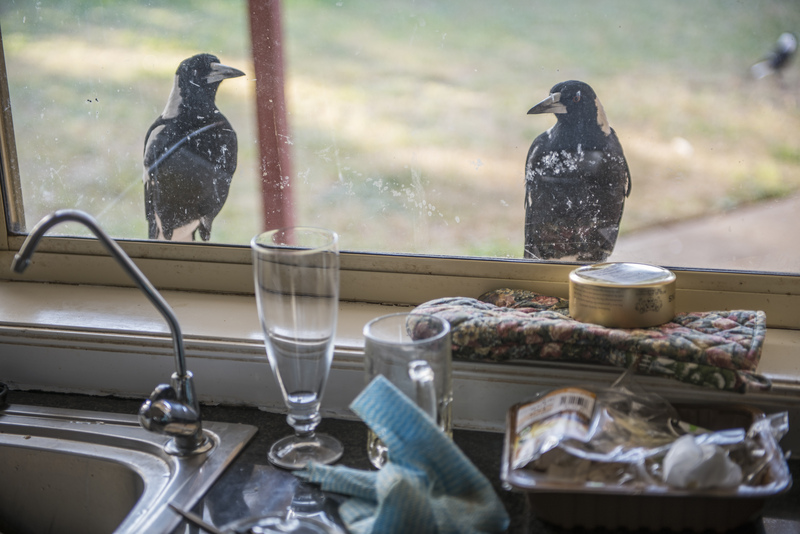 This evening, at their usual time, just as our evening meal was being readied, a pair of magpies landed on the kitchen window sill, asking for their evening snack. They peck at the window pane and make their signature warble to attract our attention. Just out of focus in the upper right corner one of their many mates can be seen, just waiting its turn. I thought that this image would add interest to my post of yesterday. I love this picture! Great composition and I am fond of pictures that show everyday life. And I am very fond of birds and this picture shows a scene that is not easy to catch otherwise. All the best from Sweden! Thank you, much appreciated. I also love birds, we have many many species and numbers visit our backyard. We also have an aviary with parrots and some other colourful birds. They give much pleasure to sit with and admire.